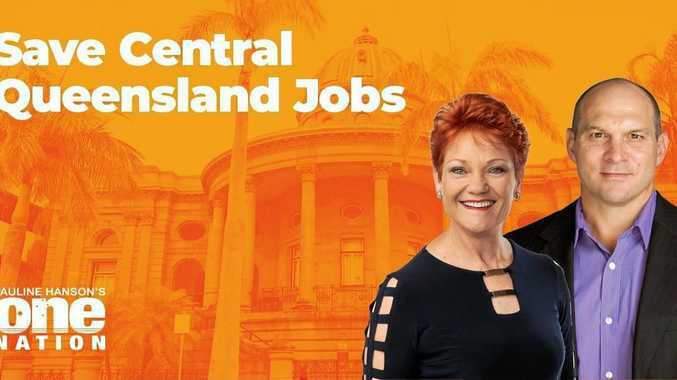 EMPLOYMENT in the CQ region will the focus of a community jobs forum planned for this weekend by the One Nation party. Party leader Senator Pauline Hanson and One Nation's candidate for Capricornia Wade Rothery have invited residents to the public event at the Rocky Sports Club this Saturday to discuss the future jobs that mining projects and subsequent industry will bring to Central Queensland residents. Senator Hanson said after an excruciating number of years of economic hardship, Central Queensland sits on the cusp of financial good times. "State Labor has limited the region with short-term, bread crumb projects that all sound well and good, but then award so many of them to out of town businesses. "Can you imagine how a Federal Labor Government will operate? One Nation has long supported the Adani coal mining project, but remains steadfast on the railway line being built and owned by the Federal Government. "The hurdles, red tape and mixed messages Labor has shown towards Adani would be enough to scare any investor off starting a project in Australia,” she said. She said "short sighted, piecemeal ideas” offered by Labor and the coalition were not solving the countries drought problem, only increasing jobless numbers and creating larger poverty rates. Senator Hanson and Mr Rothery plan to discuss investment projects designed to create local jobs as well as securing water, energy and longevity for the growing region. "Our politicians need to turn their minds to visionary projects that will serve a purpose beyond the next election,” Senator Hanson said. "My message has been clear for more than 22 years, built water infrastructure like the hybrid Bradfield water scheme, which includes the Fitzroy Gap dam, double the size of the Stanwell power station and build more HELE power plants throughout North Queensland. One Nation's leader believes Capricornia is a hotbed for supporters after an increase in votes at the Queensland state election. 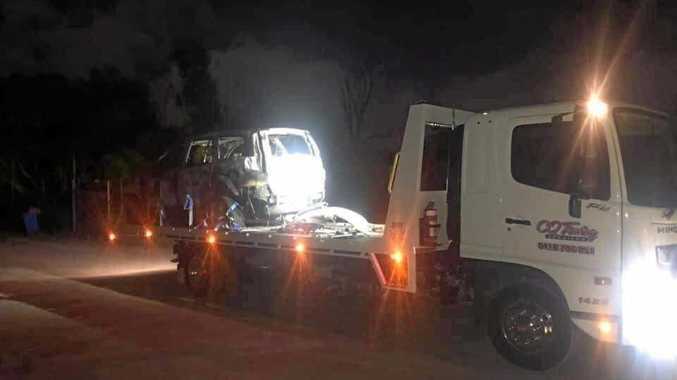 "I've spent quite a bit of time throughout Central Queensland and people often say they are tired of hearing politicians telling them that the region is doing well, yet the cost of everything has gone through the roof and financially they feel worse off,” she said. The community jobs forum will be held at the Rocky Sports Club from 6:00pm on Saturday, February 16.